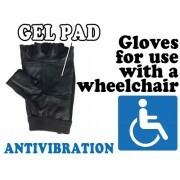 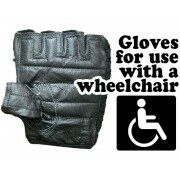 These are excellent wheelchair glove. 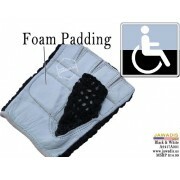 Crocheted mesh backing keeps hands comfortable and cool to spandex back provides the long-lasting durability one may expect. 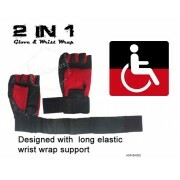 Industrial-strength cowhide palms with reinforced foam and or gel padding provide perfect grip while helping reduce shock to the hands and wrists. 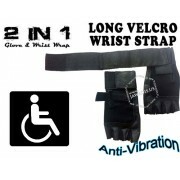 A Velcro® closure at the top of the wrist allows for a snug, yet comfortable fit to your liking.